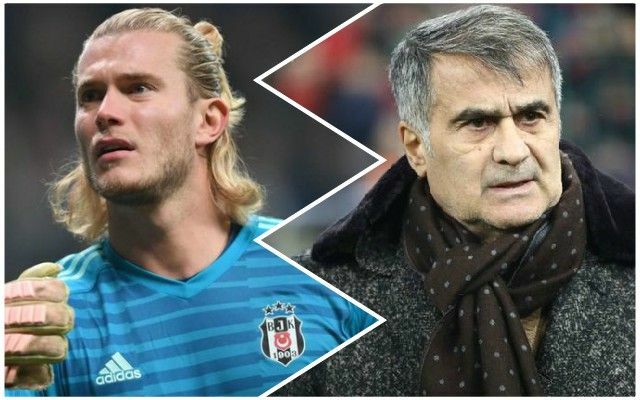 Loris Karius, on loan at Besiktas in Turkey, has been slammed by his current manager Senol Gunes, who came out with some incredible quotes following his side’s 3-2 victory over Konyaspor over the weekend. The goalkeeper was at fault for one of the goals and has now conceded 38 in total while on loan this season. Besiktas are third in the league table, 13 points off top spot. Karius was also booed and jeered by his own supporters for some of the game because of the manner in which he let in the first goal. Manager Gunes’ comments after the match, though, will have done little to rebuild his confidence. He said, via ESPN: “He was at fault for the goals he conceded. Karius has gone a bit stagnant – something is wrong with his electricity, motivation, enthusiasm for the game. It’s not often a manager will speak out like that – and that was brutal. Karius is not even halfway through his two-year loan in Turkey, and it doesn’t sound like it’s going too well.